Why Consider a Moba Moses Basket for Your Baby? Soft, comfortable and cushioned, Moba baskets use a special 3D printed fabric that is made to draw moisture away from your baby’s body. The inside cover and mattress are made of high-quality polypropylene for added comfort, while the cosy inner is made of unlined brushed cotton that adds even more comfort. The mattress is hypoallergenic and PVC free, making it suitable for even the most sensitive of skins. The basket itself has air holes that further maximise airflow and ventilation. Made of easy to clean materials, this type of baby basket has a smooth surface that can be wiped down quickly and simply. The cover and inside mattress are both fully machine washable. The top cover is also temperature-controlled, breathable and reversible. Spills can easily be wiped clean, and the basket can be popped into the wash without any risk of damage or wear and tear. The baskets are fully recyclable, making them a great choice for moms seeking a sustainable option. 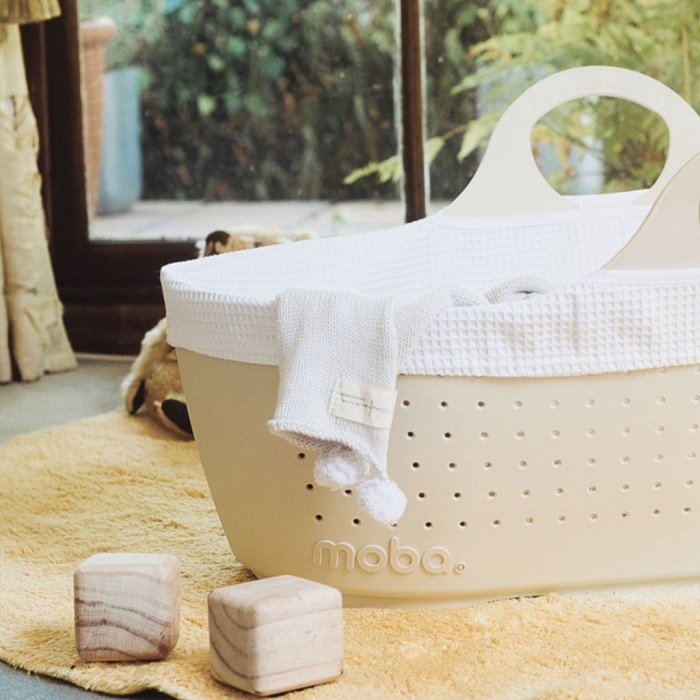 Unlike natural fibre Moses baskets, which seem to be the best eco-friendly choice at a glance, the Moba baskets are safe. They will not fray, there is no risk of sharp points caused by broken fibres, there is no risk of the wicker or palm leaf degrading and there is also a greatly reduced risk of bacteria build-up. 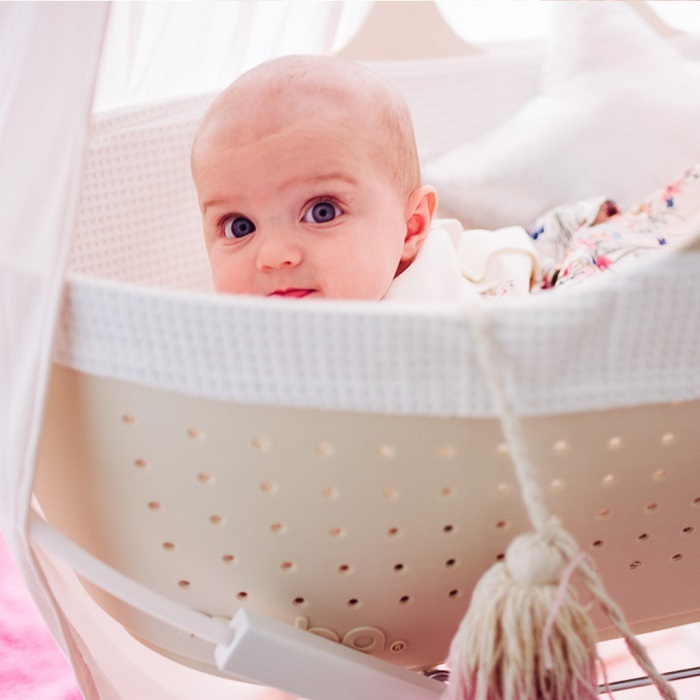 The FDA-approved material of this cradle is free of toxins and other nasties, giving you even greater peace of mind. Finally, it is worth noting that the Moba baskets are made to last. Unlike wicker or palm baskets that typically begin to fall apart after a while, these baskets will last for generations to come. That means that you can pass your basket on to a friend or family member or hold on to it if you plan on having another baby in the future. 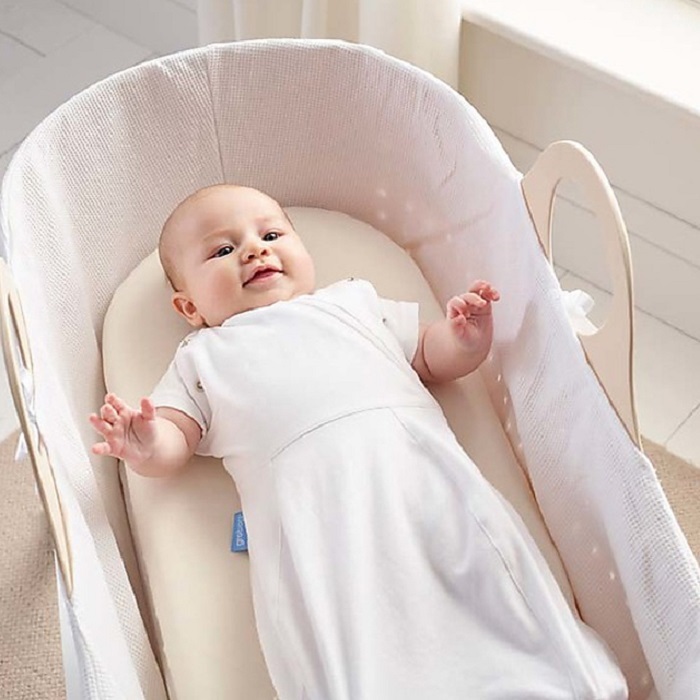 With its sturdy, ergonomic design that is made for standard sized mattresses and bedding, this cradle will keep your baby safe throughout his or her infant years. Clever Little Monkey offers an excellent selection of Moba baskets in a range of colours, including Dove Grey and Linen, and now Blush, Mint and Snow. Visit our online store today to shop our range of Moba Moses Baskets.